Today's session in the capital will see 36 players return for a shot at EPT London Main Event glory after a turbulent day of action on Wednesday. With 127 players returning and only 95 guaranteed a return on their investment the earlier going was tense. However, that was nothing compared to when the bubble actually arrived. With just three big blinds to his name, Mateusz Zbikowski went into defence mode and tried to run the clock down on every hand. Indeed, despite being teased by Sam Trickett and Niall Farrell, Zbikowski took almost five minutes to fold each time the action got round to him. 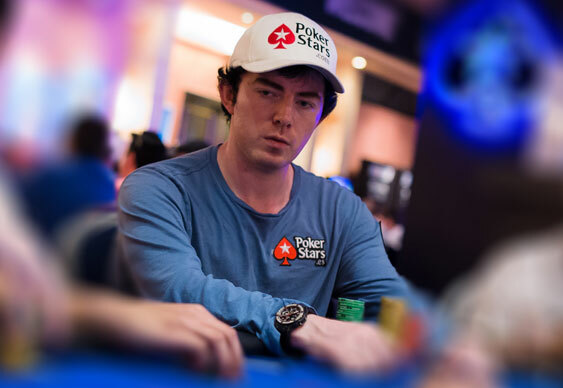 Although frustrating for those around him, the strategy paid off as he eventually crept into the money and took home £7,750 after Ignat Liviu became the unfortunate bubble boy thanks to his pocket eights losing to Marco Caza's Ac Qs. With the bubble burst and the short stacks eager to double up, the remaining 95 players were soon whittled down to a more manageable 36. Lining the rail were a number of pros, including ElkY, Sam Trickett and Eugene Katchalov, but able to make it through the chaos was Jake Cody. The British grinder managed to bag up 794,000 chips to finish the day within touching distance of the overall leader, Jakub Mroczek (1,790,000). Today's penultimate session is expected to reduce the field to 16 before a winner is crowned at the end of the week.